In the last decade of the 19th century, new themes taken over from contemporary realistic literature began appearing in Italian opera. Emil Zola’s literary Naturalism, purged of Romantic idealisation, strove to depict the world with all its attendant suffering, while the same path was also taken by Italian verismo, focusing on themes whose action, replete with passion, many a time led to a violent ending. The Paris-based painter and writer Henry Murger’s book Scenes de la vie de boheme, published in 1851, was a great success and Puccini immediately sensed the enormous dramatic potential in the work. The moving story of the love between the poet Rodolfo and the tender Mimi, who is not destined to live long, and of the friendship of four young Montmartre artists was an ideal theme for an opera. It was premiered on 1 February 1896 at the Teatro Regio in Turin, conducted by Arturo Toscanini. The inspired and elegant La bohéme production, directed by Ondřej Havelka, was nominated for Production of the Year 2008 in the traditional Divadelní noviny poll, while Christina Vasileva and Svatopluk Sem were shortlisted for the Thalia Award 2008 for their portrayals of Mimi and Marcello, respectively. The opera is staged in German original version and Czech and English surtitles are used in the performance. 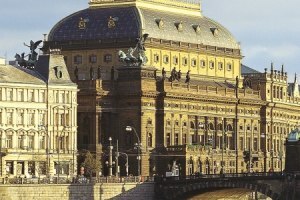 The historical building of the National Theatre, constructed in 1883, is generally considered the prime stage in the CzechRepublic. 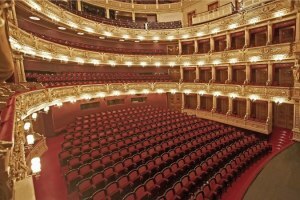 It is the flagship of the National Theatre institution, today amounting to five buildings and encompassing four companies. 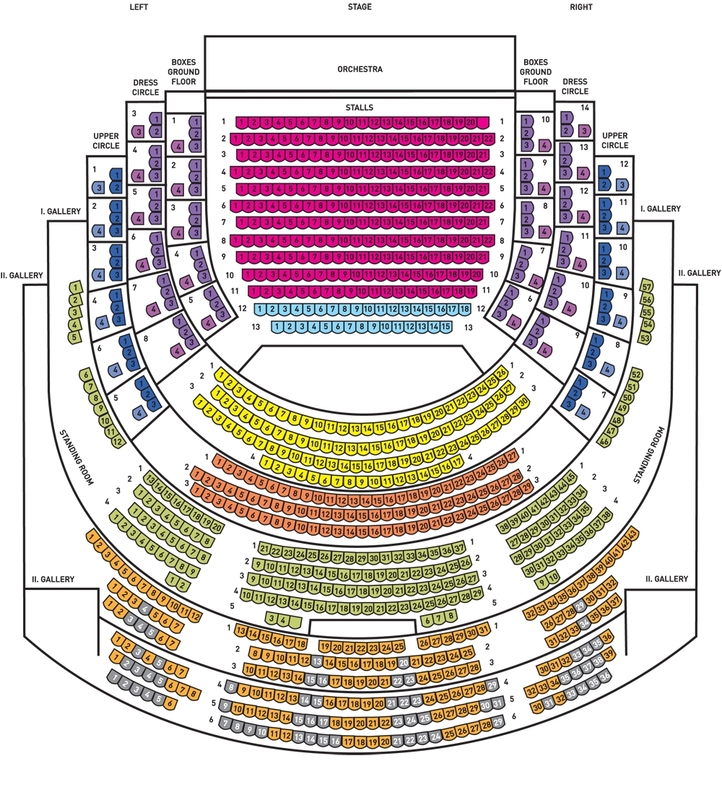 You can see there Opera, Drama and Ballet performances. 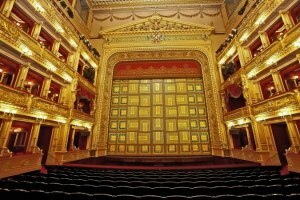 The National Theatre is the embodiment of the will of the Czech nation for a national identity and independence. Collections of money among the broad mass of the people facilitated its construction and hence the ceremonial laying of its foundation stone on 16 May 1868 was tantamount a nationwide political manifestation. The idea of building a stately edifice to serve as a theatre was first mooted in the autumn of 1844 at meetings of patriots in Prague. 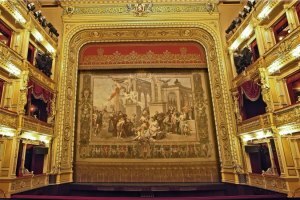 It began to materialise through a request for “the privilege of constructing, furnishing, maintaining and managing” an independent Czech theatre, which was submitted to the Provincial Committee of the Czech Assembly by František Palacký on 29 January 1845. The privilege was granted in April 1845. Yet it was not until six years later – in April 1851 – that the Society for the Establishment of a Czech National Theatre in Prague (founded in the meantime) made its first public appeal to start collections. A year later the proceeds of the first collections allowed for the purchase of land belonging to a former salt works with the area of less than 28 acres, which predetermined the magnificent location of the theatre on the bank of the river Vltava facing the panorama of Prague Castle, yet at the same time the cramped area and trapezoidal shape posed challenging problems for the building’s designers. To the centre (OldTown), approach on Masarykovo nábřeží (Masaryk embankment) in the direction from the Dancing House, at the crossroads in front of the National Theatre turn right to Divadelní street and then right again to Ostrovní street to the National Theatre car park. Parking costs 50 CZK/h. By daytime trams Nos. 6, 9, 18 and 22 and night trams Nos. 53, 57, 58, 59 to the stop “Národní divadlo” – in front of the NT historical building; by daytime tram No. 17 to the stop “Národní divadlo”. To the station “Můstek”, line B (yellow), and then by foot on Národní street; or to the station “Karlovo náměstí” and then two stops by tram No. 6, 18 or 22 to the stop “Národní divadlo”. To the station “Staroměstská”, line A (green), and then two stops by tram No. 17 to the stop “Národní divadlo”.